The sand between my toes has been exchanged with thick wool socks. The warming rays of the sun with equally warm wool jumpers. And everyday life has slowly started to dawn on us. 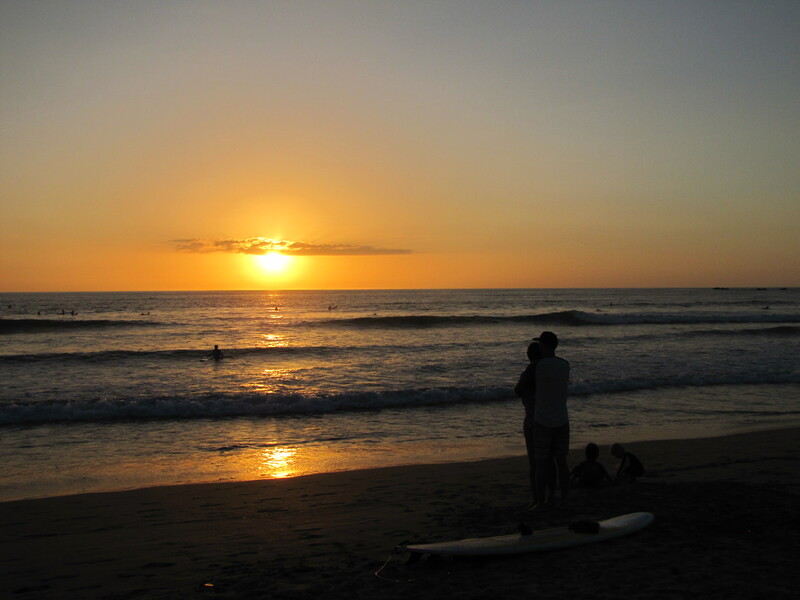 A month long holiday in Costa Rica makes it hard to adapt to winter and work, but maybe that is good. I am going to try to not adapt. At least not fully. I watch the snow as it slowly falls toward the ground. And I watch my kids as they have breakfast. I am just sitting there. Savoring the moment. I am going to savor the slowness that I still have in my body from the lovely days on the beach. I will try not to let every day stress erase it. It is so nice just to be. To be with the kids. Have time to look them in the eye and laugh. I guess my slowness has had some good help from the dengue fever I am recovering from too. But that is the only good thing I can say about dengue fever. I do not recommend it. I miss the beach, and I dream about surfing every day. But looking out the window at all the puffy white snow falling down from the sky, I feel a new little butterfly in my stomach. This little butterfly tells me that it is soon time to go to the mountains for some skiing and snowboarding. Just got to recover from this dengue thing first. ← To not surf, or to surf?